Caravaggio starred in the late 16th and early 17th century. He was an artist who is most famous for his bold use of lighting as well as having a highly controversial character with a colourful private life. Despite his innovative artistic style, it was actually his own behaviour away from the easel that received most interest and his constant movements around Europe were predominantly to evade the repercussions of recent misdemeanors. Caravaggio was a groundbreaking artist, with a creative painting style which was accompanied by a highly uncompromising and moody personality which was always likely to explode at any given moment. Caravaggio would concentrate entirely on his painting for short periods when commissions arrived before letting down his hair socially once each project was complete. His excessive lifestyle sadly was cut short by his death at the premature age of 38 and it is frustrating to consider what he might have gone onto achieve artistically had his life continued. It is unsurprising to see two more artists whose creative genius was matched by issues in their private life, which have gone hand-in-hand in the lives of so many other artistic talents from around the world since the Middle Ages. Caravaggio's extrovert lifestyle led to the extraordinary event of having a had a death warrant issued for him by the Pope at a time when he was embroiled in all sorts of social problems whenever his artistic projects were completed. It seems incredible that someone with such an inspired artistic eye and quality of brushstrokes could be such as aggressive drunk when away from the easel, but this contrast is not unusual with significant artists who often have complicated and challenging personalities which are never truly understood within their own lifetimes. 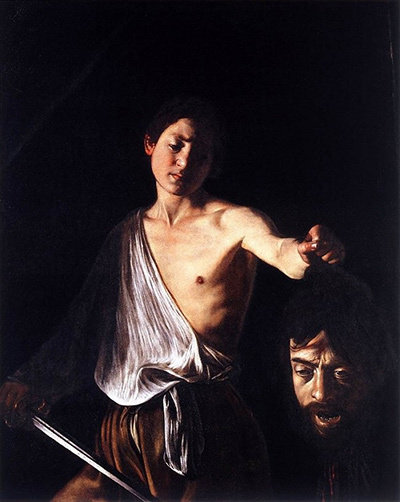 Caravaggio typically used extreme lighting within otherwise understated scenes with a subtle approach that was significantly different to other artists who could be found at that time. During his time Caravaggio's life was embroiled in problems including large numbers of fights which resulted from an aggressive and argumentative personality which was only ever tamed during periods of painting. Using art as a way to calm and solve mental issues was famously later seen in the life of Vincent van Gogh although their own issues were somewhat different. Caravaggio paintings often depicted key religious scenes because at this time most high paying commissions came from religious institutions who were typically looking to add some style to their interiors. 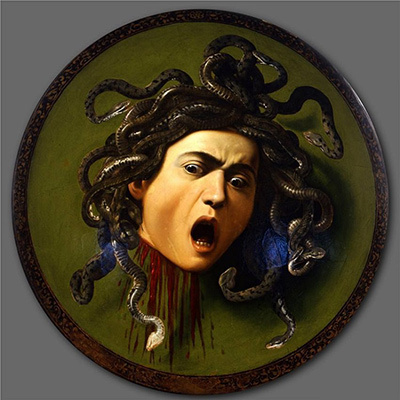 There is also a high number of Greek mythology involved in Caravaggio's career, too, such as seen in Medusa but these paintings are likely to have been instead inspired by personal interest more than anything else. His approach to art was later to achieve great respect and the entire list of works from his career was to be studied in great detail as a matter of course for many art students who became interested in this major figure within Italian art whose life left an impressive legacy, which was eventually discovered. Caravaggio remains one of the most important and influential artists in Italian art history, from a country which dominated European art from the Middle Ages right up to the 16th and 17th centuries. Caravaggio was not someone who fitted into the status quo of growing up in the artistic institutions to go on to become a teacher to others and was very much his own man, making him a much more exciting individual whose private life is as talked about as his fine art work paintings. Those Baroque painters strongly believed to have been inspired on part by the innovative style of Caravaggio included Rubens, Jusepe de Ribera, Bernini and Rembrandt. It took many years for his career to be understood and remembered in the way it is today, and only around the early 20th century was his long list of paintings brought back into the public eye. Caravaggio has gone on to achieve a somewhat cult following because of the extraordinary controversies spread across his short life as well as the majestic qualities which he instilled in so many of the paintings that he managed to fit into the 38 years of his life. 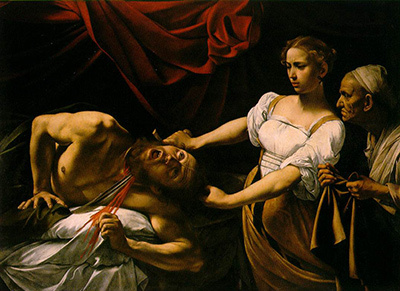 Orazio Gentileschi, Valentin de Boulogne and Gerrit van Honthors were three European artists who were particularly influenced by the work of Caravaggio. 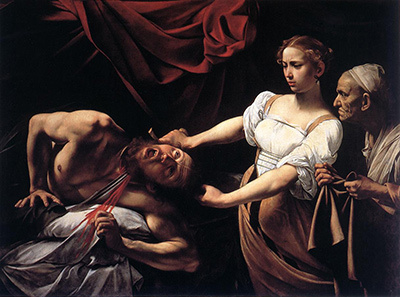 The near-realism and brutality along with the dramatic lighting used by Caravaggio can be found in their style. However, around the mid-seventeenth century, ‘Caravaggism’ was becoming superseded by a preference for classicism. Those artists who followed the legacy of Caravaggio would slowly drift out of the limelight, not to be revived until the mid-twentieth century. In the present day the reputation of Caravaggio remains impressive - ranked alongside the likes of Leonardo da Vinci, Michelangelo and Raphael. Supper at Emmaus is a well known painting from Caravaggio's career. Caravaggio was somewhat forgotten after his death for many years but in recent times has been discovered again, with a particular acceptance of his role in influencing many significant Baroque painters who followed sometime after his short career has been curtailed by tragedy. 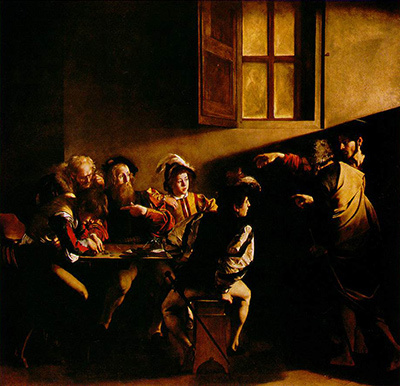 Calling of St Matthew is one of the best examples of Caravaggio's contrasting light techniques which were far more dramatic than had been seen before, offering a moody look to his paintings which made them instantly memorable and highly respected within the modern era. The topic of this painting is the point at which Jesus Christ is believed to have inspired Matthew to follow him. 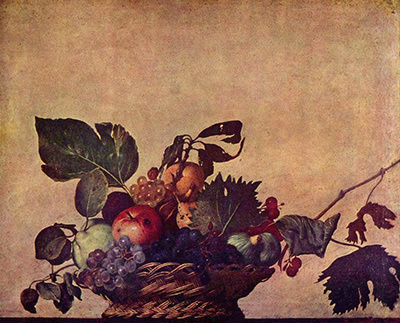 Caravaggio completed this work at the start of the 17th century for the Contarelli Chapel in the church of the French congregation, San Luigi dei Francesi, Rome. It remains on display in this location, and is now joined by The Martyrdom of Saint Matthew (painted around the same time as the Calling) and The Inspiration of Saint Matthew. Incredulity of St Thomas is one of many religious scenes from the career of Caravaggio and these paintings would always offer a raw set of emotions with symbolism combined with realism to give a powerful finish. See below for a fuller list of major paintings from the career of Caravaggio which goes beyond just those featured in this homepage.